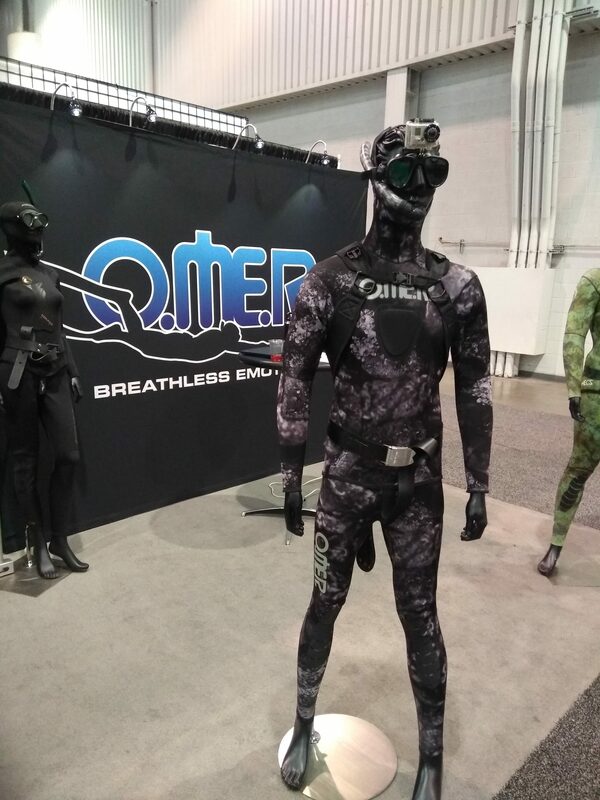 OMER has several new items that will be joining their product line, and showcased them at this year’s DEMA Show in Las Vegas. The new Stingray Dual Carbon fin (pictured above) has a gloss finish on both sides and is available in medium stiffness. A rigid plate protects the 22° downturn on the blade with pre-drilled holes for added compression so as to secure the foot pocket during transfer of power. The rails are slightly taller to stop side-to-side motion during the kick-cycle. This will be available all the way down to Men’s size 4-5. 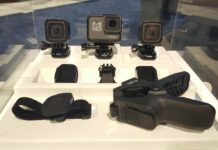 Pricing will be in the US$570 (~€500) range though is still TBD for 2019. The Invictus speargun, in Carbon and Hydroformed (HF) Cuttlefish barrel shape, will come with a three-band muzzle suitable for 14mm bands. The three-band muzzle feature presents the option to change out the bands and fully customize the strength. In addition, the trigger mechanism is a solid Stainless Steel elongated sear which allows for easier release of the shaft even under heavy load for a smoother and more accurate shot. 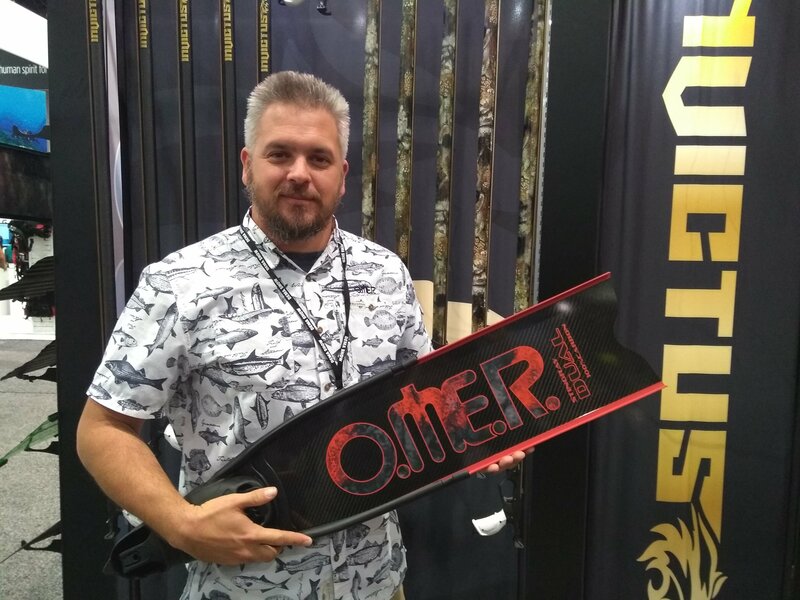 While the Invictus was introduced at DEMA Show last year, it’s being re-introduced as they are now being delivered in lengths of 75cm, 90cm, 100cm, 110cm, and 130cm with prices ranging from US$240 – $500 (~€210 – €438). The Black Stone wetsuit will be available in 1.7mm thickness that is double-lined. It offers the same stretch as the standard Stone Series suit but with an inner lining making it easier to don/doff. No conditioner needed! It comes in Omer sizes 2-7 for US$245 (~€215). 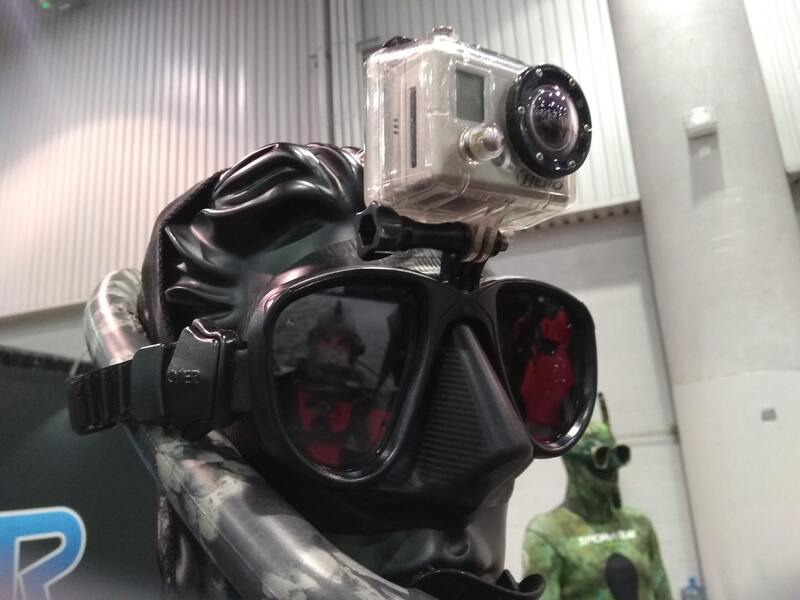 The Alien mask, Omer’s most popular and best-selling mask, has been fitted with an action camera mount providing a convenient way to document your spearfishing adventures. This will be offered in Black for US$82 (~€72). 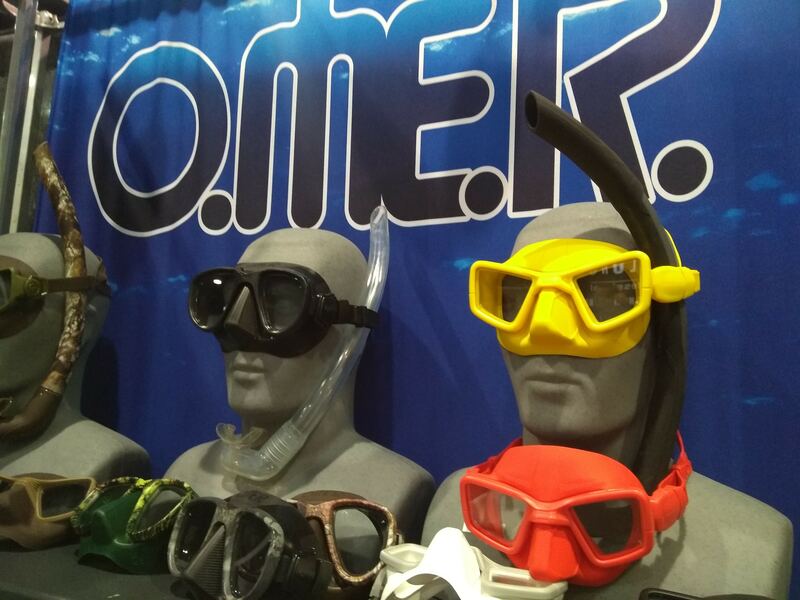 Another debut is the two new color ways for the UP-M1 low-volume, freediving mask, part of the Umberto Pelizzari Collection. Available in Red and Hi-Viz Yellow, this is great for the freediver looking to add a little flair or the instructor who can be readily visible to students. It will retail for is $95 (~€83). 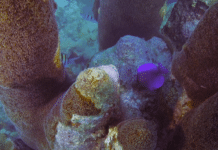 For additional information, visit Omersub.com.